LET’S HELP, SAVE THE EARTH !! ●Trees are the Essential Need of Humanity: When human was not born yet the tree exists, providing habitat to the creatures in the form of forests, feeding billions of organisms, cleansing environment of toxic gases, regulating the river’s flow, saving the sea shores in the form of mangroves, preserving the land from erosion & flood in the form of rain-forests, protecting the climate/weather, making glaciers, standing the mountains and reserving earth resources of minerals and oils. Trees are the part of humanity from beginning, he gets food to eat, oil to cook, clothes to wear, buildings to live, furniture to use, boat to travel, chair to sit, match-stick to ignite, flowers to fragrant, pencil to write with, paper to write on and rubber to erase our blunders and obviously coffins to bury!! ●Backdrop: Indeed human would never have survived if the trees hasn’t fulfilled their essential needs to survive on. Tree are older than us. There are many gases surrounding us, among them only Oxygen is the gas we and all the creatures used to breath while the other like carbon dioxide, carbon mono-oxide, methane, nitrous oxide and other green house gases are the cause of absorption of heat from sun. The ability of the ‘green house gases’ to absorb heat energy (E=hV) is much higher than any other gas which causes to rise in temperature when the sun is out (in day times). The tree absorbs CO2 and other useless gases in particular proportion and produce Oxygen (O2) which is healthy essential gas for environment. ●Human And Tree Relationship: Our earth is facing the criteria of ‘global warming’ since the human has discovered the fossil fuel (coal, mineral oil, uranium etc) and using it roughly to generate electricity, for transportation, to operate industries and to cook food and the most important which is ‘deforestation’ for own interests. The sovereignty economies are now totally based on it. The use of these essentials have taken its pace from 19th century and now in the 21st century we are bearing its bitter fruit as in the result of ‘rising temperatures’ all over the World. ●Pakistan At Global Risks: Pakistan is considered to be much effected by global risks of deforestation in mean of ‘rising temperatures’, ‘drought conditions’, ‘irregular pattern of weather’, ‘changes in average rainfalls yearly’, ‘devastating floods’, ‘loss of glaciers’, ‘rise of sea level’ and ‘uprising in UV radiation from sun’. This needs to be controlled at any cost, we cannot cease the use of basic needs on which our economy is depending but we can at least STOP ‘deforestation’ and start the scheme for ‘reforestation’. For any country there should be minimum 25% area covering forest, we had only 4% forests but unfortunately we have lost about 2.09% of our forests due to illegal deforestation for making colonies and for infrastructures. The current percentage of forest in Pakistan is less than 1.09% only which is an ALARMING SITUATION FOR US!! 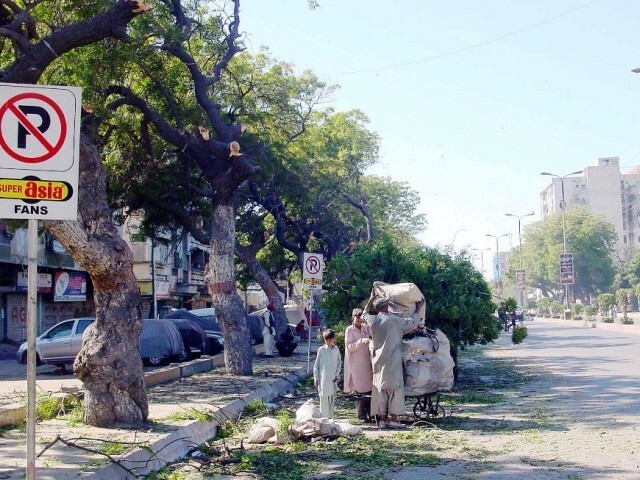 Moreover in spite of planting trees to overcome the critical situation, thousands of trees are being cut in urban cities (specially Karachi & Islamabad) for sake of so called development and illegal capture of place by locals.We have been served with intense heat waves from past several years and the phenomenon is anticipated to be more intense if not taken seriously. We condemn this step and wish that the precautions would be taken. 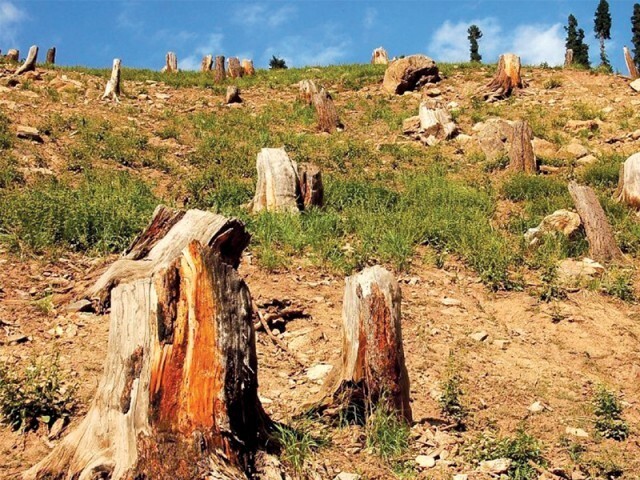 ●Alarming Call For Pakistan: This is the urgent call to humanity to provoke the thinking of plantation and reforestation. We should work out ourselves by planting useful trees and plants in our surrounding to overcome the serious climatic issues emerging in Pakistan. ●Counselling: ‘Our team PakWeather.com urges people to take initiative of ‘Planting Trees’ if we want to see #Prosperous and #Emerging #Pakistan‘.